A stylish Zebrano wood stand for the Lucis lamp. This gives you Lucis lamp even more character! A sleek tripod with a height of 22 cm with a 1/4 photo camera adapter on top on which you can mount the Lucis lamp. The tripod lifts the Lucis, which then shines over the glasses and bowls on the table with a better light diffusion as result. The wooden Lucis stand is both beautiful and practical. Cool tripod! 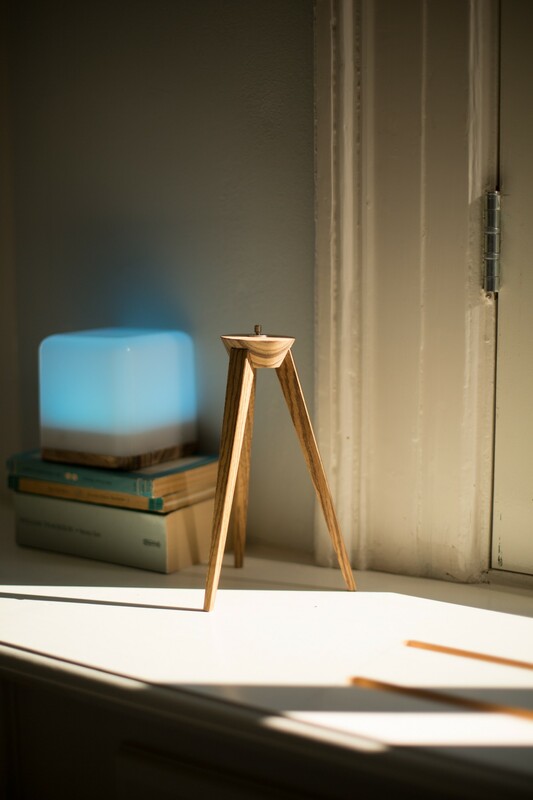 The Lucis lamp is already a beauty on its own but the Zebrano wood tripod makes it complete. Esthetical: sleek design of a decorative wood species. 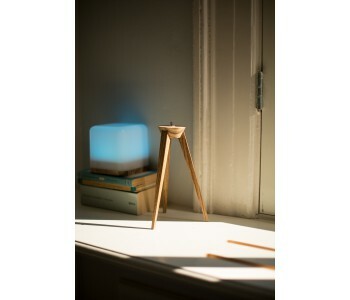 And practical: the 22cm high stand elevates the lamp so the light spreads better over the surface. Zebrano is a type of wood with a striking stripes patterns that mkaes you think of a zebra. The wood is hard and strong, brown yellow with dark brown stripes with a moderately coarse to coarse grain. Zebrano is used for decorative applications: furniture, carving and sculpture, buttons and handles. Also, this type of wood finish is used in many models of the Mercedes car brand for the look of the Interior. Zebrano comes from tropical West Africa and is a tree that can reach 50 metres in height. In Gabon they call Zebrano wood "Zingana" or "Izingana". 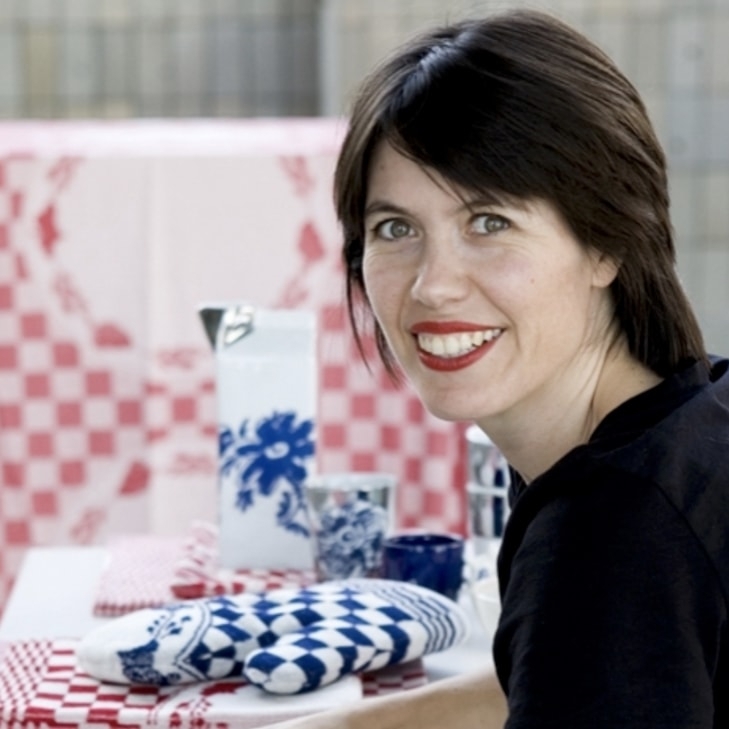 Simon Koop is a versatile Dutch designer. 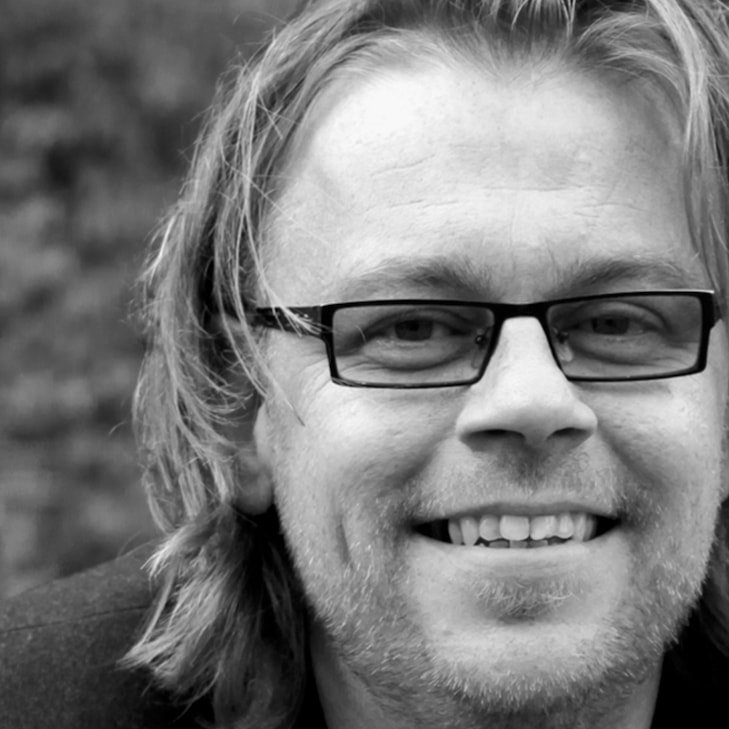 From his design agency Koopmedia, he is both working on product design as with graphic and web design. 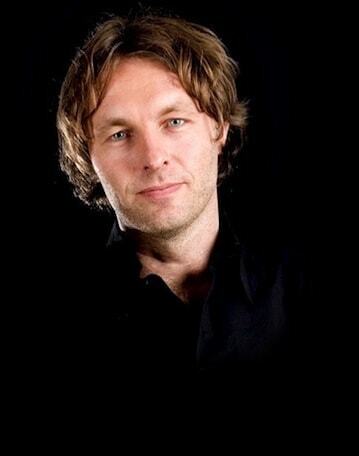 In addition to the Lucis design work, Simon is for years one of the designers of the exclusive Dutch sports car brand Spyker. To make the market introduction of the Lucis LED lamp come true, the initiators Simon Koop en Lardy van der Pal made use of crowd funding. Via the Indiegogo platform their company Innovative Brands was able to raise over 60% of the target sum within a day. By the end 2015 they had gathered almost 1.5 x their target amount. In February and March 2016 the first Lucis lamps were handed to the ‘backers’. Now the Lucis is also available for a broader audience.